What Is the Google RankBrain Algorithm? Google RankBrain is an artificially intelligent mechanism for recognizing and absorbing search query data that’s inputted by users. Essentially, the main objective of the RankBrain algorithm is to accurately and efficiently sort through a plethora of information derived from an extremely wide range of sources on the Internet and then present users with the most important answers and sources based on their search queries and the keywords incorporated in them. Record the level of user satisfaction with the results shown for future analytical purposes and improvements. In the early days of search technology, Google didn’t have the same level of intelligence and comprehension skills it currently possesses to fully understand what searchers were looking for because there was no concept of actual information. The rudimentary algorithm was only capable of searching for and matching exact keywords or phrases that users inserted in the search bar. The main difference between these earlier algorithms and their descendent, RankBrain, is that the latter has the intelligent properties and capabilities to conceptually understand search terms and use that knowledge to the users’ advantage, which makes for a much smoother user experience. RankBrain optimization can help guarantee that your content is visible and accessible to users even if they type in the most arbitrary search terms. Over time, numerous Google updates have allowed the search engine mogul to painstakingly catalogue or index common industry-specific keywords and phrases that users have been searching for so that it can improve its overall search results accuracy and user satisfaction analytics. RankBrain will scour the Internet looking for reliable sources of information in response to search queries and then present users with a variety of options. It then determines which sources are the most useful for each type of search query based on majority rule. The information gathered through this trial and error method is applied to future similar searches to enhance the experience of other users. To tell you the truth, there’s actually a lot in it for you. For starters, Google themselves have recognized RankBrain as their third best ranking information interpreting protocol, which means that marketers who are currently using it have a lot to gain. You should be aware of the types of searches prospective clients or constituents are making and how that could implicate the online presence of your business. Not only that, having this type of search association knowledge can help you create better and more advanced content that’s highly relevant to the different types of searches users are making in relation to your industry. Plus, there’s the fact that this approach provides invaluable market research that can help you anticipate the types of content you should be releasing in the future to attract your target demographics. 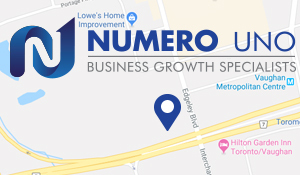 Numero Uno Web Solutions is one of Canada’s leading Internet marketing companies and our experienced SEO specialists have helped numerous clients throughout North America improve their web site rankings by incorporating high-quality content. To learn more about how we can do the same for you, please contact us today!